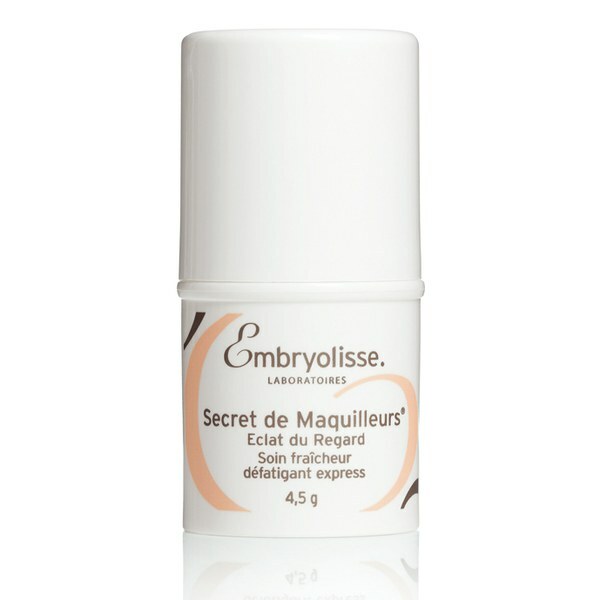 Transform tired eyes with the Radiant Eye from Embryolisse, a dual-action booster stick to brighten and refresh the delicate eye area. The moisturising treatment eliminates fatigue and smoothens the eye contours to leave skin illuminated and radiant. Its restructuring botanical complex is enriched with aloe vera and glycerine to minimise puffiness by breaking down tissues and metabiotic, which works effectively to boost circulation and reduce dark circles. E.N. Massage eye contours with the stick several times, going from the inner corner to outer corner. Apply to upper and lower lids. For a stronger cooling effect store in the refrigerator. Aqua (Water), Glycerin, Sodium Stearate, Xylitylglucoside, Anhydroxylitol, Phenoxyethanol, Xylitol, Saccharomyces Cerevisiae Extract, Aloe Barbadensis Leaf Juice Powder, Ethylhexylglycerin.